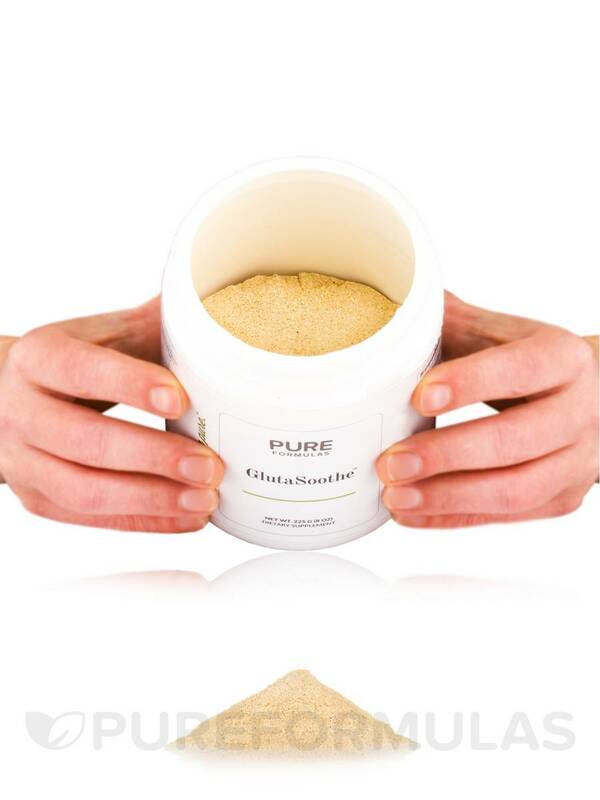 GlutaSoothe by PureFormulas has really helped soothe my stomach and I will definitely repurchase! Love that its cheaper than the type I regularly buy from my doctor. 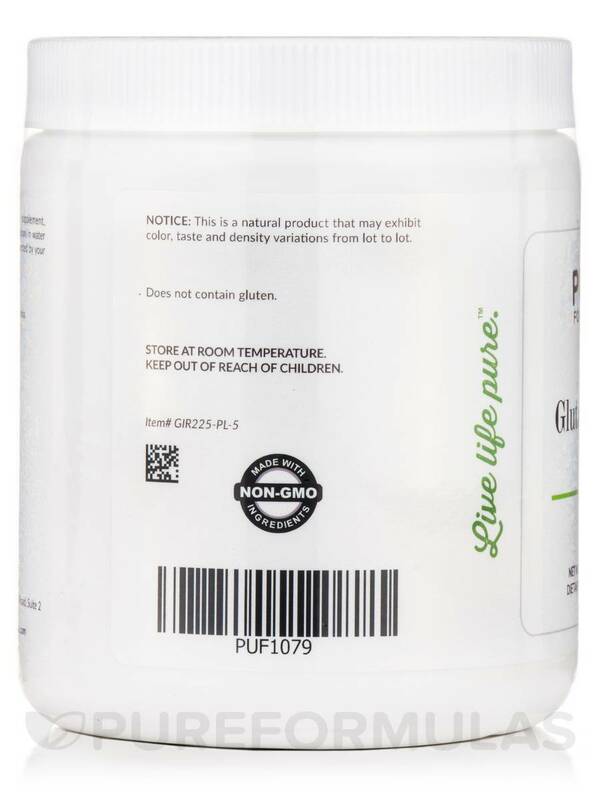 GlutaSoothe™ from PureFormulas is a gluten free‚ vegetarian powder that may alleviate uncomfortable gastrointestinal related symptoms. It features three key ingredients to support healthy function of the gastrointestinal lining‚ which is essential for proper digestion and immune system efficiency. 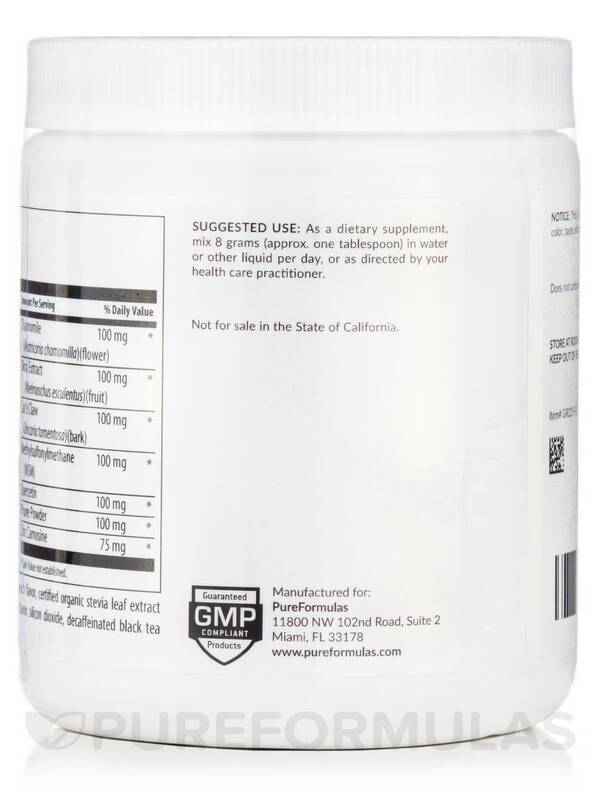 The first of these ingredients is glutamine‚ which may provide a source of fuel and growth to the rapidly dividing cells of your intestinal lining. Deglycyrrhizinized Licorice (DGL) in this supplement supports the general health and wellness of your gastrointestinal tract. The licorice in the DGL is processed to remove glycyrrhizin‚ often associated with sodium and water retention. The final key ingredient included is a premium extract of aloe that has experienced a proprietary extraction process to remove the bitter qualities associated with aloe and to prevent laxative effects to promote a healthy intestinal lining. With added natural flavors and a great taste‚ GlutaSoothe™ from PureFormulas may support a healthy gastrointestinal tract. 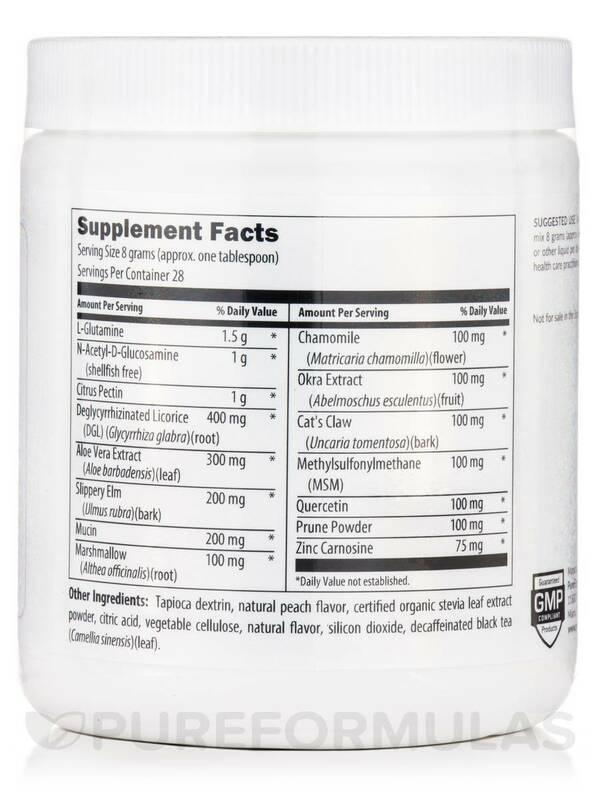 Other Ingredients: Tapioca dextrin‚ natural peach flavor‚ certified organic stevia leaf extract powder‚ citric acid‚ vegetable cellulose‚ natural flavor‚ silicon dioxide‚ decaffeinated black tea (camellia sinensis) (leaf). 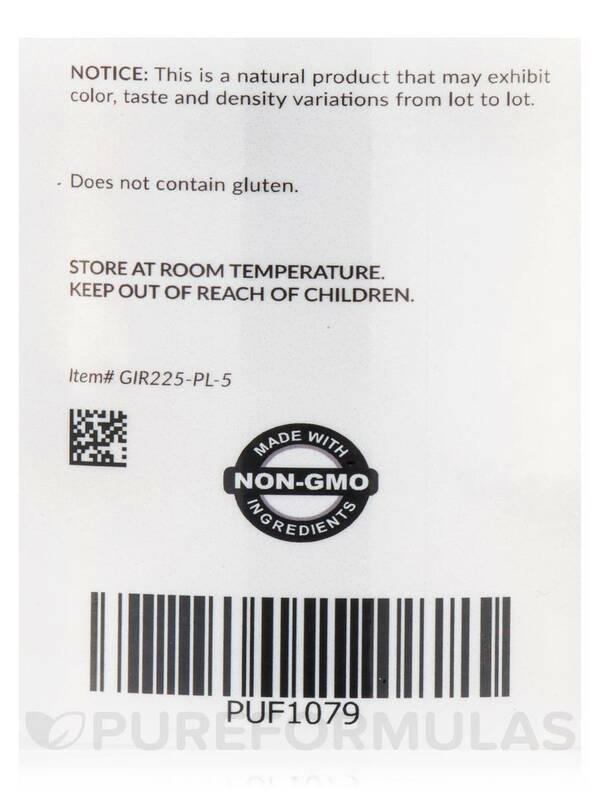 Made with Non-GMO Ingredients / Gluten-Free / Guaranteed GMP Complaint Product. 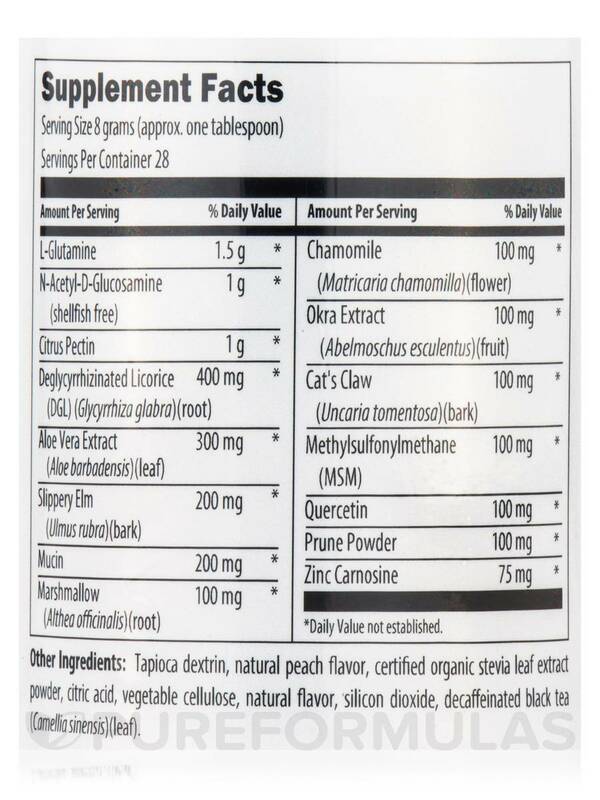 As a dietary supplement‚ mix 8 grams (approx. one tablespoon) in water or other liquid per day‚ or as directed by your healthcare practitioner. After having taken large quantites of antibiotics due to pneumonia, I developed a leaky gut (or permeable colon). 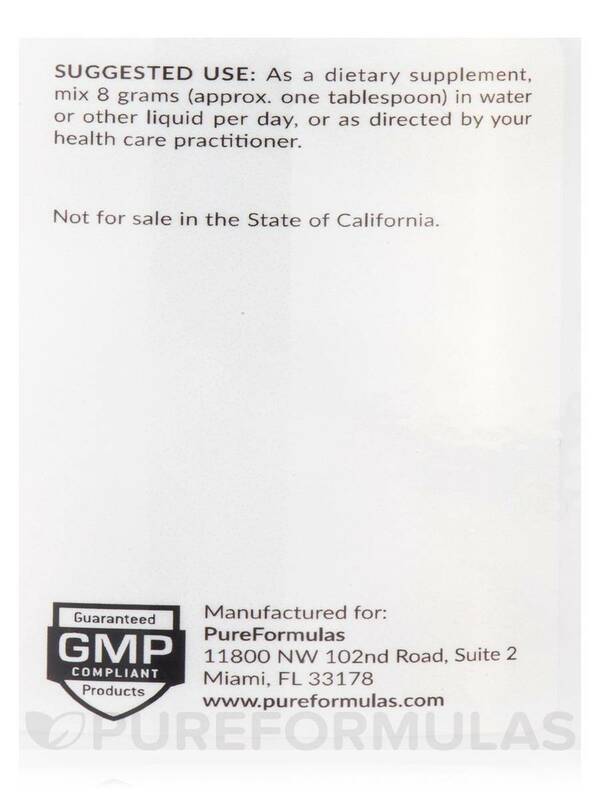 I was bad about taking probiotcs after I got out of the hospital, so I did my online research and chose GlutaSoothe by PureFormulas to start the healing process. I take the marshmallow, slippery elm and licorice are mentioned in so many articles I read, and so with the other great ingredients, this is working very well for me. After having been on this for a few weeks, my inflammation was so much better. I will continue this until I feel the problem is solved. I got GlutaSoothe by PureFormulas for myself, but used a quartor amount for my dog who has IBS. She is doing so much better. This is a combination of all the herbs I was giving her separately. I put the powder in her wet food and she is really improved! Powder,easy to measure and use. I had become incredibly sensitive to gluten. Even the smallest amount of airborne gluten would make me sick & constantly had bloated tummy. At times my ankles ached so badly I could hardly walk. 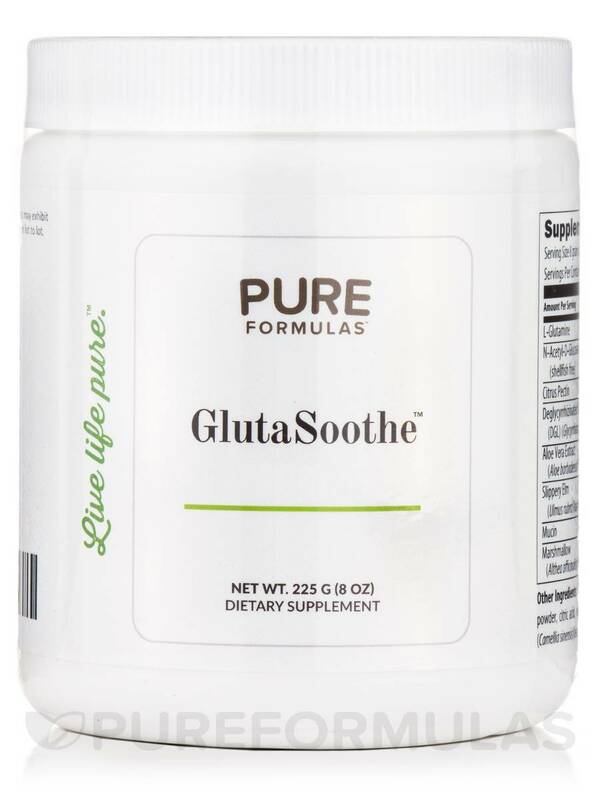 GlutaSoothe by PureFormulas has given me total relief from all these health issues. I believe it has also helped the Fibromyalgia. Basically, this product has given me my life back as prior to using this I had absolutely no quality of life. It dissolves well in liquids, both hot & cold. I usually add a tsp. to my first cup of coffee each morning. I can taste it slightly but not bad. It is worth every penny I spend on it & will never stop using it. The many health benefits, as stated in my review. GlutaSoothe by PureFormulas works like a charm! I purchased GlutaSoothe by PureFormulas and was very happy with the results. When I get exposed to gluten or over consume dairy products, I feel the negative impact on my body immediately. Glutenza is pretty efficacious at helping reduce these effects. Thank you for reaching out to us, Wendy. The natural flavors are a bit of vanilla bean, cinnamon, and licorice that occur naturally from the product ingredients. Can you please tell me what is used for the "Natural Flavors" in this product? Natural flavors often contain hidden MSG. I'm VERY MSG sensitive and would like to know what this is. Thank you! Thank you for reaching out to us, Susan. The natural flavors are a bit of vanilla bean, cinnamon, and licorice that occur naturally from the product ingredients.